A special season known as Teshuvah, which in Hebrew means “to return or repent,” begins on the first day of the month of Elul and continues 40 days, this may respond to Messiah’s 40 days in the wilderness, ending with Yom Kippur. Teruah means “an awakening blast.” A theme associated with Rosh HaShanah is the theme “to awake.” Whether it is by the blast of a shofar or the force of a supernatural shout, YHVH’s goal is to awaken us! The Gates of Heaven are opened on Rosh HaShanah so the righteous nation may enter (Isaiah [Yeshayahu] 26:2; Psalm [Tehillim] 118:19-20). Because the gates of Heaven are understood to be open on Rosh HaShanah, this is further evidence that the rapture (natzal) of the believers in the Messiah Yeshua will also take place. The whole month of Elul is a 30-day process of preparation through personal examination and repentance for the coming High Holy Days. The shofar is blown after every morning service. Psalm 27, which begins with “The Lord is my light and my salvation,” is also recited at the end of the morning and evening liturgy. The message from Elul 1 to Rosh HaShanah is clear: Repent before HaShanah. Don’t wait until after Rosh HaShanah, or you will find yourself in the Days of Awe. Jewish tradition believes that Adam was created on this day (Mishnah, San Hedrin 38b). How did they decide that this was the day of the year the world was created? Because the first words of the Book of Genesis (Bereishit), “in the beginning,” when changed around, reads, Aleph b’Tishrei, or “on the first of Tishrei.” Therefore, Rosh HaShanah is known as the birthday of the world, for tradition tells us that the world was created then. Rosh HaShanah is observed for two days. It comes on the first and second days of the Hebrew month of Tishrei (usually in September or October), which is the first month of the biblical civil calendar. The month of Tishrei is the seventh month in the biblical religious calendar. This may seem strange that Rosh HaShanah, the New Year, is on the first and second day of Tishrei, the seventh month on the biblical religious calendar. The reason that Rosh HaShanah is the seventh month in the biblical religious calendar is that G-d made the month of Nisan the first month of the year in remembrance of Israel’s divine liberation from Egypt (Exodus [Shemot] 12:2; 13:4). However, according to tradition, the world was created on Tishrei, or more exactly, Adam and Eve were created on the first day of Tishrei and it is from Tishrei that the annual cycle began. Hence, Rosh HaShanah is celebrated at this time. In Psalm (Tehillim) 98:6 it is written, “With trumpets and the sound of the horn shout joyfully before the King, the Lord” (NAS). The blessing we receive from G-d when we understand the meaning of Rosh HaShanah and the blowing of the trumpet (shofar) is found in Psalm (Tehillim) 89:15, as it is written, “How blessed are the people who know the joyful sound [blast of the shofar]…” (NAS). Teruah means “an awakening blast.” A theme associated with Rosh HaShanah is the theme “to awake.” Teruah is also translated as “shout.” The Book of Isaiah (Yeshayahu), chapter 12, puts the shouting in the context of the thousand-year reign of Messiah, the Athid Lavo. The Messianic era and shout is mentioned in Isaiah (Yeshayahu) 42:11; 44:23; Jeremiah (Yermiyahu) 31:7; and Zephaniah 3:14. The first coming of Yeshua is associated with a shout in Zechariah 9:9. The ultimate shout is the rapture (natzal) in First Thessalonians 4:16-17. Whether it is by the blast of a shofar or the force of a supernatural shout, G-d’s goal is to awaken us! For this reason it is written, “… Awake, sleeper, and arise from the dead, and Christ will shine on you” (Ephesians 5:14 NAS). The Book of Ephesians has many references to Rosh HaShanah and the High Holy Days. For example, in Ephesians 4:30, being sealed unto the day of redemption refers to Yom Kippur, the Day of Atonement. G-d gave this festival to teach us that we will be judged on Rosh HaShanah and will be sealed unto the closing of the gates (neilah) on Yom Kippur. Isaiah (Yeshayahu) 26:19 speaks of the resurrection. The word awake is associated with the resurrection, as it is written, “Your dead will live; their corpses will rise. You who lie in the dust, awake and shout for joy, for your dew is as the dew of the dawn, and the earth will give birth to the departed spirits” (Isaiah [Yeshayahu] 26:19 NAS). The theme of awakening from sleep is used throughout the Bible. It is found in John (Yochanan) 11:11; Romans 13:11; Daniel 12:1-2; and Psalm (Tehillim) 78:65. In Isaiah 51:9 it is written, “Awake, awake, put on strength, O arm of the Lord; awake as in the days of old, the generations of long ago…” (NAS). The arm of the L-rd is used as a term for the Messiah in Isaiah (Yeshayahu) 53:1. The word arm is the Hebrew word zeroah. During Passover (Pesach), a shankbone, known as the zeroah, is put on the plate. So, “awake” is a term or idiom for Rosh HaShanah. In Isaiah (Yeshayahu) 51:9 quoted earlier, the awakening is associated with the coming of the Messiah. The shofar is the physical instrument that G-d instructed us to use to hear (shema) the sound of the shofar teaching us to awake from spiritual slumber (1 Corinthians 15:46). In the days of old, the shofar was used on very solemn occasions. We first find the shofar mentioned in connection with the revelation on Mount Sinai, when the voice of the shofar was exceedingly strong and all the people who were in the camp trembled (Exodus [Shemot] 19:16b). Thus, the shofar we hear on Rosh HaShanah ought to remind us of our acceptance of the Torah (Bible) and our obligations to it. The shofar also used to be sounded when war was waged upon a dangerous enemy. Thus, the shofar we hear on Rosh HaShanah ought to also serve as a battle cry to wage war against our inner enemy — our evil inclinations and passions as well as the devil, Ha Satan, himself. The shofar was also sounded on the Jubilee Year, heralding freedom from slavery (Leviticus [Vayikra] 25:9-10). Another reason for sounding the shofar is that Rosh Hashanah is the celebration of the birth of creation G-d began to rule over the world on this day. When a king begins to reign, he is heralded with trumpets. That is why Psalm 47 precedes the blowing of the shofar; it is a call to the nations: “….. Sing praises to our King, sing praises. For God is the King of all the earth…” (Psalm [Tehillim] 47:6-7 NAS). It also precedes because of the reference to the shofar in the previous verse (Psalm 47:5), as it is written “God has ascended with a shout, the Lord, with the sound of a trumpet”. Awake, you sleepers, from your sleep! Rouse yourselves, you slumberers, out of your slumber! Examine your deeds, and turn to G-d in repentance. Remember your Creator, you who are caught up in the daily round, losing sight of eternal truth; you are wasting your years in vain pursuits that neither profit nor save. Look closely at yourselves; improve your ways and your deeds. Abandon your evil ways, your unworthy schemes, every one of you! When the rabbis saw the phrase, “Awake, O Israel,” they would identify those verses with something concerning Rosh HaShanah. The blowing of the shofar took place at the temple (Beit HaMikdash) on Rosh HaShanah (Nehemiah 8:1-3). The shofar, or ram’s horn. On the sabbath, there was within the temple (Beit HaMikdash) a sign on the wall that said, “To the house of the blowing of the trumpet [shofar].” Each sabbath (shabbat), two men with silver trumpets and a man with a shofar made three trumpet blasts twice during the day. On Rosh HaShanah, it is different. The shofar is the primary trumpet. On Rosh HaShanah, a shofar delivers the first blast, a silver trumpet the second, and then a shofar the third. The silver trumpets and the gathering at the temple are specified in the Book of Numbers (Bamidbar) chapter 10. According to Leviticus (Vayikra) 23:24 and Numbers (Bamidbar) 29:1, Rosh HaShanah is the day of the blowing of the trumpets. According to the Mishnah (Rosh HaShanah 16a; Rosh HaShanah 3:3), the trumpet used for this purpose is the ram’s horn, not trumpets made of metal as in Numbers (Bamidbar) Chapter 10. The shofar was blown to announce the beginning of festivals (Numbers [Bamidbar] 10:10). The shofar was blown to celebrate the new moon on Rosh HaShanah (Psalm 81:1-3). Another name for Rosh HaShanah is Yom HaDin, the Day of Judgment. It was seen that on this day, G-d would sit in court and all men would pass before Him to be judged. Three great books will be opened as each man is weighed in the balance and placed into one of three categories (Talmud, Rosh HaShanah 6b). It has been taught that the school of Shammai says that there will be three classes on the final Day of Judgment, one of the wholly righteous, one of the wholly wicked, and one of the intermediates. The wholly righteous are at once inscribed and sealed for life in the world to come; the wholly wicked are at once inscribed and sealed for perdition (Talmud, Rosh HaShanah 16b-17a). The righteous will be protected during the tribulation period. The wicked will face the wrath of G-d during the tribulation period (Yamim Nora’im), known in Hebrew as the Chevlai shel Mashiach, and will never repent. The average person has until Yom Kippur till his fate is sealed forever. In other words, the average person will have until the end of the seven-year tribulation to repent and turn to G-d. The average person on Rosh HaShanah is judged by G-d and is neither written in the book of life or the book of the wicked. His fate is yet to be decided. The average person and the wicked have to go through the “Awesome Days,” the tribulation, until they reach Yom Kippur (the end of the tribulation when their fate is sealed forever). Once you are written in the book of the wicked, you can never get out of it (Revelation 17:8). These are people who never, ever, will accept the Messiah Yeshua. There are 12 months in the year and there are 12 tribes in Israel. Every month of the Jewish year has its representative tribe. The month of Tishrei is the month of the tribe of Dan. This is of symbolic significance, for when Dan was born to Bilhah, Rachel’s maid, Rachel said, “God hath judged me [dannani], and hath also heard my voice…” (Genesis [Bereishit] 30:6). Dan and din (as in Yom HaDin, Day of Judgment) are both derived from the same root, symbolizing that Tishrei is the time of Divine judgment and forgiveness. Similarly, every month of the Jewish calendar has its sign of the Zodiac (in Hebrew, Mazal). The sign of the Zodiac for Tishrei is Scales. This is symbolic of the Day of Judgment. “The L-rd is King forever and ever!” and the echo of his voice rang throughout the world. “Now the whole world will know that I am King,” G-d said, and He was very pleased. This is the first Rosh HaShanah! The first New Year. It was the birthday of Man, and the Coronation Day of the King of Kings! A theme and term associated with Rosh HaShanah in Hebrew is HaMelech (the King). It was mentioned earlier in this chapter that the shofar blown on Rosh HaShanah is known as the last trump, which Rav Sha’ul (the apostle Paul) mentioned in First Thessalonians 4:16-17. At this time, the believers in the Messiah who are righteous (tzaddikim) according to Yom HaDin (the Day of Judgment) will be taken to Heaven in the rapture (natzal) along with the righteous who had died before this time. On Rosh HaShanah, the coronation of the Messiah Yeshua as King will happen in Heaven (Revelation 5). Yeshua, who had come to earth during His first coming to play the role of the suffering Messiah, Messiah ben Joseph (Yosef), will be crowned as King over all the earth in preparation for His coming back to earth to reign as King Messiah (Messiah ben David) during the Messianic age, the Millennium, or in Hebrew eschatology, the Athid Lavo (Revelation 19:16; 20:4). I beheld till the thrones were cast down, and the Ancient of days did sit…the judgment was set, and the books were opened. [This is Rosh HaShanah, Yom HaDin, the Day of Judgment. The books are the book of the righteous, the book of the wicked, and the book of remembrance] … I saw… one like the Son of man [this is understood to be the Messiah Yeshua (Matthew 24:30; 26:64)] coming with the clouds of heaven [the clouds are the believers in the Messiah (Hebrews 12:1; Revelation 1:7)]…And there was given Him dominion, and glory, and a kingdom, that all people, nations, and languages, should serve Him: His dominion is an everlasting dominion, which shall not pass away, and His kingdom that which shall not be destroyed (Daniel 7:9-10,13-14). After this I looked, and, behold, a door was opened in heaven [the gates of Heaven are opened on Rosh HaShanah, according to Isaiah (Yeshayahu) 26:2 and Psalm (Tehillim) 118:19-20]: and the first voice which I heard was as it were of a trumpet [Rosh HaShanah is known as the last trump] talking with me [Rosh HaShanah is known as Yom Teruah, the Day of the Awakening Blast or loud shout(1 Thessalonians 4:16-17)]..And immediately I was in the spirit: and, behold, a throne was set in heaven, and one sat on the throne [this is HaMelech, the coronation of the Messiah; the coronation ceremony is described in Revelation 5] (Revelation 4:1-2). The description given here in Revelation matches the account in Daniel 7:9-14. There are four parts to the enthronement of a Jewish king. The giving of the decree. Associated with this is a declaration. This can be seen in Psalm (Tehillim) 2:6-7, as it is written, “Yet have I set my king upon My holy hill of Zion. I will declare the decree….” Next, a rod/scepter is given, which is an emblem of a king. Scriptures that refer to the scepter include Genesis (Bereishit) 49:17; Numbers (Bamidbar) 24:17; Esther 4:11; 5:2; 8:4; Psalm 45:6; and Hebrews 1:8. Scriptures that refer to a rod are in Psalm (Tehillim) 2:9; Isaiah (Yeshayahu) 11:1,4; and Revelation 2:27; 12:5; 19:16. The scepter is an emblem of a king or royal office and a rod refers to the king ruling and reigning righteously in all matters (Isaiah 11:1,4-5). Yeshua is the King Messiah (Isaiah 11:1,4-5; Jeremiah 23:5-6; Zechariah 9:9; Luke 1:32-33; John [Yochanan] 1:47-49). The ceremony of the taking of the throne (Revelation 5). The king sits on the throne and is anointed as king. The word Christ in English comes from the Greek word Christos and in Hebrew is Mashiach, meaning “the anointed one.” Yeshua came as a prophet during His first coming (Deuteronomy [Devarim] 18:15), was resurrected as the priest (John [Yochanan] 20:9,17), and is coming back to earth again as King. Kings in Israel were anointed (2 Samuel 5:3-4; 1 Kings [Melachim] 1:39-40, 45-46; 2 Kings 9:1-6). The acclamation. During the acclimation, all the people shout, “Long live the king!” (1 Kings [Melachim] 1:28-31). Next, all the people clap (Psalm [Tehillim] 47:1-2). Psalm 47 is a coronation psalm. Psalm 47:5 is the shout and trumpet of Rosh HaShanah. Verse 6 is the shouting and praising of the king. Verse 8 is the ceremony of the throne. In verse 9, the believers in the Messiah Yeshua are gathered in His presence. Rosh HaShanah is known as Yom HaZikkaron, the Day of Remembrance. Leviticus (Vayikra) 23:24 calls the day “a memorial” (zikkaron). Remembrance is a major theme in the Bible. We can see by examining the following Scriptures that G-d remembers us and that we are to remember G-d in all of our ways. In Romans 14:10 it is written, “But you, why do you judge your brother? Or you again, why do you regard your brother with contempt? For we shall all stand before the judgment seat of God [Christ]” (NAS). In Second Corinthians 5:10 it is written, “For we must all appear before the judgment seat of Christ, that each one may be recompensed for his deeds in the body, according to what he has done, whether good or bad” (NAS). This is also discussed in First Corinthians 3:9-15. The works of the believers in Messiah will be judged by G-d, but not their salvation. 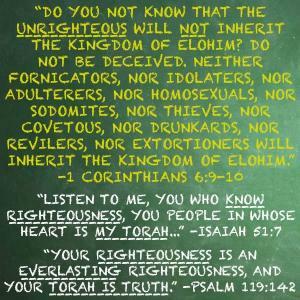 This is a judgment of the believers in Yeshua only. All people in this judgment are the believers in Yeshua only. All people in this judgment will be saved. This is not a judgment of your salvation, but a judgment of your rewards based upon your works. On this day, G-d will open the Book of Life and hold a trial (Talmud, Rosh HaShanah 16b). This is known as the Bema judgment. The English phrase, birthpangs of the Messiah, or the Hebrew Chevlai shel Mashiach, is a major theme of the Bible. It is commonly known as the seven-year tribulation period. In Matthew (Mattityahu) 24, Yeshua describes the signs of the end. “And as He was sitting on the Mount of Olives, the disciples came to Him privately, saying, ‘Tell us, when will these things be, and what will be the sign of Your coming, and of the end of the age [Olam Hazeh]?’ “(Matthew 24:3 NAS) Yeshua said that these days are the beginning of sorrows (Matthew [Mattityahu] 24:8. The Greek word translated as sorrows here is odin. This word means “birth pangs.” The birthpangs of the Messiah are also spoken of in Jeremiah (Yermiyahu) 30:4-7, as it is written:Now these are the words which the Lord spoke concerning Israel and concerning Judah, “For thus says the Lord, ‘I have heard a sound of terror, of dread, and there is no peace. Ask now, and see, if a male can give birth [travail with child?]. Why do I see every man with his hands on his loins, as a woman in childbirth [odin]? And why have all faces turned pale? Alas! for that day is great, there is none like it; and it is the time of Jacob’s distress [trouble], but he will be saved from it’ “(Jeremiah [Yermiyahu] 30:4-7 NAS). The birth pangs are also mentioned in First Thessalonians 5:1-3: Now as to the times and the epochs [seasons], brethren, you have no need of anything to be written to you. For you yourselves know full well that the day of the Lord will come just like a thief in the night While they are saying, “Peace and safety!” then destruction will come upon them suddenly like birth pangs [odin] upon a woman with child; and they shall not escape (1 Thessalonians 5:1-3 NAS). It can also be seen in Revelation 12:1-2, as it is written: And a great sign appeared in heaven: a woman clothed with the sun, and the moon under her feet, and on her head a crown of twelve stars [this is Israel (Genesis [Bereishit] 37:9)]; and she was with child; and she cried out, being in labor [odin] and in pain to give birth (Revelation 12:1-2 NAS). Israel will face genuine crisis during the time of Jacob’s (Ya’akov’s) trouble. The prophet Zechariah prophesied that two of every three inhabitants of Israel will perish during this time, with a remnant of only one third of the population being saved (Zechariah 13:8-9). In Isaiah (Yeshayahu) 13:6-8 it is written: Wail, for the day of the Lord is near! It will come as destruction from the Almighty. Therefore all hands will fall limp, and every man ‘s heart will melt [see Luke 21:26]. And they will be terrified, pains and anguish will take hold of them, they will writhe like a woman in labor; they will look at one another in astonishment, their faces aflame (Isaiah [Yeshayahu] 13:6-8 NAS). There are several stages to Israel’s birthing the Messiah. Isaiah 66:7 is a birth before travail. “Before she [Israel] travailed [received the Messiah (Mashiach)], she brought forth; before her pain came, she was delivered of a man child” (Isaiah [Yeshayahu] 66:7). Isaiah 66:7 is a birth before travail. This happened during the first coming of Yeshua, the Messiah. The birth pangs that Israel experienced during Yeshua’s first coming came after Yeshua’s death with the destruction of the temple and the dispersion of the Jewish people out of Israel by the Romans in 70 C.E. (Common Era). Isaiah 66:8 is a birth after travail. Isaiah 66:8 says, “…as soon as Zion travailed, she brought forth her children.” This will happen before Yeshua returns to earth to set foot on the Mount of Olives (Zechariah 14:4) as Israel experiences the hardest time she has ever experienced since she was a nation (Daniel 12:1) in the period of time known as the birthpangs of the Messiah, the Yamim Nora’im, or the tribulation. The tribulation and the birthpangs of the Messiah are one and the same thing. What we are seeing in these days is the woman (Israel) becoming larger and larger, coming closer and closer to the time when she is about to give birth. The gates of Heaven are opened on Rosh HaShanah so the righteous nation may enter (Isaiah [Yeshayahu] 26:2; Psalm [Tehillim] 118:19-20). Because the gates of Heaven are understood to be open on Rosh HaShanah, this is further evidence that the rapture (natzal) of the believers in the Messiah Yeshua will take place on Rosh HaShanah. The Bible is a marriage covenant. Both the Tanach (Old Testament) and the Brit Hadashah (New Testament) describe how G-d through the Mashiach (Messiah), the Bridegroom, is in the process of marrying His bride, the believers in Him who will ultimately live and dwell with Him forever. G-d ordained and established marriage and its divine sanctity in the Torah, the very first book of the Bible, Genesis (Bereishit), when He brought Adam and Eve together to become one flesh (Genesis 2:21-24). In doing so, we have a vivid foreshadowing of the Messiah being married to those who would believe upon Him. Let’s examine this closer. Adam is a type of the Messiah Yeshua. Adam was made after the likeness of Yeshua (Romans 5:14). Yeshua (Jesus) was made in the likeness of Adam (Philippians 2:8). In fact, Yeshua is called the last Adam (1 Corinthians 15:45-47). In Genesis 2:21, G-d had a deep sleep fall upon Adam. Sleep is synonymous with death (Daniel 12:2; John [Yochanan] 11:11-14; 1 Corinthians 15:51-54; Ephesians 5:14). The deep sleep that G-d caused to fall upon Adam is a picture of the crucifixion and death of Yeshua, as Messiah ben Joseph. G-d brought a deep sleep upon Adam so He could take a rib from the side of his flesh. This required the shedding of blood. This is a picture of Yeshua who was pierced in the side of His flesh, shedding His own blood when He hung on the tree (John [Yochanan] 19:34). From the rib of Adam, G-d made Eve. Likewise, by the death of Yeshua and faith (emunah) in Him, G-d established the assembly of believers known in Hebrew as the kehilat. The believers in the Messiah, His bride, become wedded to Him by faith (emunah). This marriage can be seen in the Tanach (Old Testament) as well as in Jeremiah 23:5-6, as it is written, …. this is His name whereby He shall be called, THE LORD OUR RIGHTEOUSNESS” (Jeremiah [Yermiyahu] 23:6). In Jeremiah 33:15-16, it is written, “…this is the name wherewith she shall be called, THE LORD OUR RIGHTEOUSNESS” (Jeremiah [Yermiyahu] 33:16). So from these passages in Jeremiah, we can see that a wedding is taking place. Therefore, by accepting, trusting, and believing in the Messiah, the bride of Messiah, His followers, become one with Him. These people would include both Jew and non-Jews who have lived since Adam and would include Noah, Abraham, Isaac, Jacob, Moses, David, and Solomon as well as the prophets. G-d gave the wedding customs, service, and ceremonies to the Jewish people (Romans 3:2; 9:4) to teach us about the Messiah Yeshua (Colossians 2:16-17). With this in mind, let’s examine the biblical wedding ceremony that G-d gave to the Jewish people. The ancient Jewish wedding ceremony G-d gave to the Jewish people to teach us about the wedding of the Messiah consisted of 12 steps. This is the first stage of marriage known as kiddushin. I have spoken at length of betrothal in Chapter 6, concerning Shavuot. Remember, betrothal is the first of two steps in the marriage process. Betrothal in Hebrew is known as erusin or kiddushin. Betrothal legally binds the bride and the groom together in a marriage contract, except they do not physically live together. Historically, G-d betrothed Himself to Israel at Mount Sinai (Jeremiah 2:2; Hosea 2:19-20). Whenever you accept the Messiah into your heart and life, you become betrothed to Him while living on the earth. What, then, does it say? The Word is near you in your mouth and in your heart: that is the word about trust [emunah] which we proclaim, namely, that if you acknowledge publicly with your mouth that Yeshua is Lord and trust in your heart that God raised him from the dead, you will be delivered. 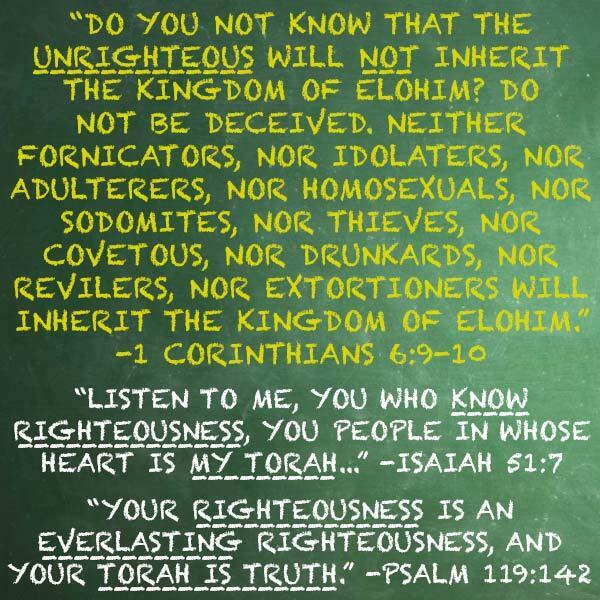 For with the heart one goes on trusting and thus continues toward righteousness, while with the mouth one keeps on making public acknowledgments and thus continues toward deliverance (Romans 10:8-10 Jewish New Testament Version). The gifts to the bride are symbols of love, commitment, and loyalty. The gift G-d gives to those who accept the Messiah is the Holy Spirit (Ruach HaKodesh) (John [Yochanan] 14:26; 15:26-27; Acts 2:38; 2 Corinthians 1:21-22). When Yeshua ascended to Heaven, He gave gifts to men (Ephesians 4:7-8). These gifts included righteousness (Romans 5:17-18), eternal life (Romans 6:23), grace (Romans 5:12,14-15), faith (Ephesians 2:8-9), and other spiritual gifts (1 Corinthians 12:1,4). These included wisdom, knowledge, healing, the working of miracles, prophecy, the discerning of spirits, tongues, and interpretation of tongues (1 Corinthians 12:8-11), as well as the gifts of helps and administration (1 Corinthians 12:28). In addition, at this time the cup of the covenant was shared and sealed between the bride and the groom with the drinking of wine. In doing so, the couple drinks from a common cup. The cup is first given to the groom to sip, and then is given to the bride. This cup, known as the cup of the covenant, is spoken of in Jeremiah 31:31-33, as it is written: Behold, the days come, saith the Lord, that I will make a new covenant with the house of Israel and with the house of Judah: not according to the covenant that I made with their fathers in the day that I took them by the hand to bring them out of the land of Egypt; which My covenant they brake, although I was an husband unto them, saith the Lord: but this shall be the covenant that I will make with the house of Israel; After those days, saith the Lord, I will put My law in their inward parts, and write it in their hearts; and will be their God, and they shall be My people (Jeremiah [Yermiyahu] 31:31-33). Yeshua spoke of the cup of the New Covenant (Brit Hadashah) in Luke 22:20. Mikvah is a Hebrew word that means “pool” or “body of water.” Mikvah is a ceremonial act of purification by the immersion in water. It indicates a separation from a former way to a new way. In the case of marriage, it indicates leaving an old life for a new life with your spouse (Genesis [Bereishit] 2:23-24; Ephesians 5:31). Immersing in the mikvah is considered spiritual rebirth. The reason is that a mikvah has the power to change a person completely. Concerning the marriage to Israel at Mount Sinai, G-d said in Ezekiel 16:8-9, as it is written, “…I sware unto thee, and entered into a covenant with thee… and thou becamest Mine. Then washed I thee with water….” The washing, or immersion, here refers to that of Israel before the people received the Torah when G-d betrothed Himself to Israel at Mount Sinai (Exodus [Shemot] 19:14-15). Yeshua spoke to the Pharisee, Nicodemus (Nakdimon), that he must be born anew (immersed) to enter into the Kingdom of G-d (John [Yochanan] 3:1-7). The believers in the Messiah are to be immersed in the name of Yeshua (Acts 19:4). The Holy Spirit (Ruach HaKodesh) is the immerser of G-d (Luke 3:16; Acts 1:5; 11:15-16). The bridegroom departed, going back to his father’s house to prepare the bridal chamber. At this point, the bridegroom leaves for his father’s house to prepare the bridal chamber for his bride. It was understood to be the man’s duty to go away to be with his father, build a house, and prepare for the eventual wedding. Before he goes, though, he will make a statement to the bride. “I go to prepare a place for you; if I go, I will return again unto you.” This is the same statement Yeshua made in John (Yochanan) 14:1-3 before He went to His father’s house in Heaven, as it is written: Let not your heart be troubled: ye believe in God, believe also in Me. In My Father’s’ house are many mansions: if it were not so, I would have told you. I go to prepare a place for you. And if I go and prepare a place for you, I will come again, and receive you unto Myself that where I am, there ye may be also (John [Yochanan] 14:1-3). Before the bridegroom could go and get the bride, the groom’s father had to be satisfied that every preparation had been made by the son. Only then could he give permission to the son to go and get the bride. In other words, while the bridegroom was working on the bridal chamber, it was the father who “okayed” the final bridal chamber. The bridegroom did not know when his father would declare the bridal chamber fit and send him to go get his bride. This is exactly what Yeshua was referring to in Mark 13:32-37. Meanwhile, the bride was to wait eagerly for the return of the bridegroom. In the mind of the bride, the bridegroom could come at any time, even in the middle of the night or at midnight. Therefore, she had to be ready at all times. Yeshua referred to this in Mark 13:32-37 and Matthew 25:1-13. While waiting for her bridegroom to come, the bride had to have thought to herself, “Is he really coming back for me? Is he really going to keep his word?” This was the thought that Peter (Kefa) answered in Second Peter 3:1-13. The bridegroom would return with a shout, “Behold, the bridegroom comes” and the sound of the ram’s horn (shofar) would be blown. The time of the return of the bridegroom was usually at midnight. When the bridegroom did come, he came with a shout (Matthew 25:6) and with the blowing of a shofar (trumpet) (1 Thessalonians 4:16-17; Revelation 4:1). The marriage between the bride and the groom will take place under the chupah or wedding canopy. Since Heaven is a type of chupah, we can see that when Yeshua gives a shout for His bride, accompanied by the blowing of a shofar (trumpet), the marriage between Yeshua and His bride will take place in Heaven. The marriage ceremony will have a sacred procession. For this reason, the bridegroom (Yeshua) will be led to the chupah first. When the bridegroom approaches the chupah, the cantor chants, “Blessed is he who comes.” “Blessed is he who comes” is an idiomatic expression meaning “welcome.” Yeshua said that He would not return for His bride until these words were said (Matthew 23:39). The groom is greeted like a king under the chupah. During this time Yeshua, the bridegroom, will be crowned King under the chupah, which is Heaven. He would abduct his bride, usually in the middle of the night, to go to the bridal chamber where the marriage would be consummated. This is the full marriage, known in Hebrew as nesu’in. The bride and groom will go to the wedding chamber, or chadar in Hebrew, where the marriage will be consummated. They will stay in that wedding chamber for seven days, or a week. At the end of the seven days, the bride and groom will come out from the wedding chamber. This can be seen in Joel 2:16. The word week in Hebrew is shavuah. It means a “seven.” It can mean seven days or seven years. An example of the Hebrew word for week (shavuah) meaning seven years can be found in Daniel 9:24, as it is written, “Seventy weeks [shavuah, 490 years] are determined upon thy people…” and in 9:27, “And he [the false Messiah known as the antichrist] shall confirm the covenant with many for one week [shavuah, seven years]….” The week referred to in Daniel 9:27 is known to Bible believers as the tribulation period. The Jewish people understand this time to be the birthpangs of the Messiah known in Hebrew eschatology as the Chevlai shel Mashiach. This is taken from Jeremiah 30:5-7. Finally, there would be a marriage supper for all the guests invited by the father of the bride. The bride and the groom would be in the wedding chamber for seven days. When the bride and the groom initially went into the wedding chamber, the friend of the bridegroom stood outside the door. All the assembled guests of the wedding gathered outside, waiting for the friend of the bride-groom to announce the consummation of the marriage, which was relayed to him by the groom. John (Yochanan) referred to this in John 3:29. At this signal, great rejoicing broke forth (John 3:29). The marriage was consummated on the first night (Genesis [Bereishit] 29:23). The bloodstained linen from this night was preserved. It was proof of the bride’s virginity (Deuteronomy [Devarim] 22:13-21). On the wedding day, the bridegroom is seen as a king and the bride as a queen. During the consummation of the marriage, the bridegroom (Yeshua) will be crowned King over all the earth and the bride (the believers in Yeshua, the Messiah) will live with Him and rule with Him forever. The crowning of the King and the marriage can be seen in Isaiah 62:3-7. At the end of the week (seven-year tribulation, or birthpangs of the Messiah), the marriage supper will take place. The marriage supper will not take place in Heaven. After the marriage, the bride and Groom will return to earth. The marriage supper will be taking place on earth and only the invited guests of the Father of the Groom (G-d the Father) will be present at the banquet meal. This can be seen in Revelation 19:7-16 and 20:4. Yeshua spoke of the marriage supper and the banquet in Luke 12:35-38 and Matthew 8:11. The wedding supper is a theme of the festival of Sukkot, which will be discussed further in a later chapter. During Sukkot, the people were instructed by G-d to build a temporary shelter. One of the things G-d instructed the people to do is eat there. When they eat, they are to set a plate for seven different people. Among the seven whom a plate is set for are Abraham (Avraham), Isaac (Yitzchak), and Jacob (Ya’akov). This is what Yeshua was referring to in Matthew 8:11. In concluding this section on the wedding, whenever anyone hears the message of the basar (gospel), it is a wedding proposal by G-d to accept Him and be a part of His bride. G-d desires that we accept His invitation and give Him our response of “I do.” In fact, Revelation 22:20 is a proposal by Yeshua Himself to accept Him and be a part of His bride. His message in this verse is “Come.” Will you say, “I do” to the Messiah’s proposal to you? One of the reasons for blowing the shofar is to proclaim the resurrection of the dead. In addition, the thirteenth principle of the Jewish faith is belief in the resurrection of the dead. The resurrection of the dead will take place on Rosh HaShanah (Talmud, Rosh HaShanah l6b). In First Corinthians 15:52, the apostle Paul (Rav Sha’ul) tells us that the resurrection of the dead will be “at the last trump.” Earlier, in First Corinthians 15:14, he wrote that without the Messiah rising from the dead, our faith is in vain. We cannot go to the Book of Revelation and say that the voice of the seventh angel (Revelation 11:15) is the last trump. In the first century, the last trump (shofar) meant a specific day in the year. In Judaism, there are three trumpets (shofarim) that have a name. They are the first trump, the last trump, and the great trump. Each one of these trumpets indicates a specific day in the Jewish year. The first trump is blown on the Feast of Shavuot (Pentecost) (Exodus [Shemot] 19:19). It proclaimed that G-d had betrothed Himself to Israel. The High Holy Days (Volume I, Rosh HaShanah, Chapter 5, Footnote 11), in the chapter on the shofar. The great trumpet is blown on Yom Kippur, which will herald the return of the Messiah Yeshua back to earth (Matthew [Mattityahu] 24:31). The first and last trump relate to the two horns of the ram, which according to Jewish tradition, was caught in the thicket on Mount Moriah when Abraham (Avraham) was ready to slay Isaac (Yitzchak) and offer him up as a burnt offering (olah). This ram became the substitute for Isaac (Yitzchak) even as Yeshua became the substitute for us and provided life for us through His death. In Pirkei Avot (the sayings of the fathers), Rabbi Eliezer tells us that the left horn (first trump) was blown on Mount Sinai, and its right horn (the last trump) will be blown to herald the coming of the Messiah. Isaiah (Yeshayahu) 18:3 and First Thessalonians 4:13-18 speak of the resurrection of the dead. First Thessalonians chapter 5 continues with the day of the L-rd and the birthpangs of the Messiah. First Thessalonians 4:16-17 says that the dead in Messiah will rise first, and that the catching away of the believers will immediately follow. The term rapture comes from the Greek word harpazo, which means “to seize, catch away, catch up, pluck, pull, take by force” (1 Thessalonians 4:17). The Hebrew equivalent is the word natzal. Isaiah (Yeshayahu) 26:2-3, 19-20 and 57:1-2 all speak clearly of the resurrection of the dead. Daniel 12:1-2 also speaks of the resurrection of the dead, the tribulation, and the salvation of Israel through the tribulation. Zephaniah 1:14-18 and 2:2-3 tells about the terrible times during the day of the L-rd, the birthpangs of the Messiah, and issues a decree to repent and turn to G-d before that day to be hid from that time. Psalm (Tehillim) 27:5 says the righteous will be hid in the time of trouble. This psalm is read every day during the 40-day period of Teshuvah. Second Thessalonians 2:1 says, “Now we beseech you, brethren, by the coming of our Lord Jesus Christ, and by our gathering together unto Him.” The phrase, “gathering together” comes from the Greek word episunagoge, which means “an assembly.” In Numbers (Bamidbar) 10:2-3, the trumpet is blown to assemble the people. The blowing of the trumpet and the assembling of the people also appear together in First Thessalonians 4:16-17 and First Corinthians 15:51-53. Yet another name for Rosh HaShanah is Yom HaKeseh, “The Day of the Hiding” or “the Hidden Day.” The term keseh or keceh is derived from the Hebrew root kacah, which means to “conceal, cover, or hide.” Every day during the month of Elul, a trumpet is blown to warn the people to turn back to G-d, except for the thirtieth day of Elul, the day preceding Rosh HaShanah / Yom Teruah. On that day the trumpet is not blown, and is therefore silent. This is because much about Rosh HaShanah is concealed and shrouded in mystery. The mystical aspect of Rosh HaShanah is indicated in Scripture: “Sound the shofar on the New Moon, in concealment of the day of our festival” (Psalm [Tehillim] 81:3). Satan, the accuser, is not to be given notice about the arrival of Rosh HaShanah, the Day of Judgment. Because Rosh HaShanah was understood to be the hidden day, this statement by Yeshua is actually an idiom for Rosh Hashanah. Thus it should be given as proof that He was speaking of Rosh HaShanah because Rosh HaShanah is the only day in the whole year that was referred to as the hidden day or the day that no man knew. Spiritual Application (Halacha). Rosh HaShanah takes place on the new moon. Colossians 2:16-17 says that the new moon will teach about the Messiah. The Jewish (biblical) month is based upon a lunar cycle. The moon can barely be seen as the cycle begins. But then the moon turns toward the sun and begins to reflect the light of the sun. The sun in the sky is a picture of Yeshua (Malachi [Malachie] 4:2), and the moon is a picture of the believers in the Messiah. The sun has its own light, but the moon’s light is a reflection of the sun. When we first become believers in Yeshua, we can hardly be seen spiritually, and we know very little about G-d. But then our lives begin to revolve around the Messiah as the moon revolves around the sun. As we begin to turn more and more toward the center of creation, we begin to reflect that light (Yeshua) more and more, just as the moon reflects the light from the center of the solar system.